America Sues Volkswagen And Its Ex-CEO For "Massive Fraud"
If Volkswagen was hoping to put Dieselgate behind it once and for all thanks to billions of dollars in settlements, it’d better think again. Reuters reports that the US Securities and Exchange Commission (SEC) has sued the automaker and its already disgraced former CEO, Martin Winterkorn, alleging a "massive fraud” on US investors. 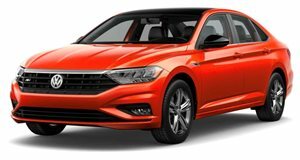 If anyone needs reminding, the German automaker was caught back in 2015 using illegal software to cheat US pollution tests. Other global markets, including Europe, also discovered these "defeat devices” in millions of VW Group vehicles. The reason why the SEC is suing the automaker and Winterkorn on behalf of investors is that the latter was not informed in a timely manner the scope of the scandal. For its part, VW claims it was not yet fully known at the time it would be facing billions of dollars in penalties. But the SEC seems to have a case against VW. 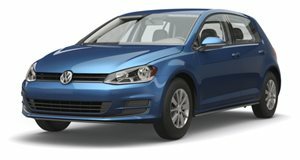 "From April 2014 to May 2015, VW issued over $13 billion in bonds and asset-back securities” the suit alleges, but senior executives were already aware that over 500,000 US diesel vehicles "grossly exceeded legal vehicle emissions limits.” Furthermore, VW made false and misleading statements to investors about overall vehicle quality, environmental compliance, and the company’s general financial standing. "Volkswagen hid its decade-long emissions scheme while it was selling billions of dollars of its bonds to investors at inflated prices,” said Stephanie Avakian, co-director of the SEC's enforcement division. And who was in charge of the VW Group at this time? Martin Winterkorn.